Robert Paranto will go down as the first coach to coach undefeated back-to-back teams in Bartlett High School history. Coach Paranto was unblemished in 1975-76 while guiding the Junior varsity basketball team. After such a remarkable run in 1975-76, the bar was raised to another standard. The 1976-77 team did not disappoint the Indian faithful as the JV team also went undefeated again. Two years 38-0!! Coach Paranto�s overall Junior Varsity record stood at an impressive 199-35. Coach Robert Paranto would soon take over the reigns on the Varsity team vacated by the legendary Don Cushing, who would take over the Nichols College basketball program. Those young men, along with their head coach, with all their success at the JV level would not disappoint at the varsity level! The magical 1978-79 basketball team would be a team of firsts, and arguably become the best team to have ever graced the halls of Bartlett High School history. The team was not your typical modern-day basketball group. The roster did not consist of one player over 6�3�. This team relied on speed, agility, and a fearless commitment to defense. Coach Paranto will forever be remembered for his unorthodox style of getting the most out of each and every member of the squad. Team members, to this day, will always remember their memorable run and often comment on Coach Paranto�s love and passion for the game as well as his love for his players. The �79 dream team would go on to capture the prestigious Clark Tournament championship and continued their run as they were crowned District E Division 3 champions. This team would not settle for second best as they began their state tournament run. They faced off against eastern Massachusetts power Charlestown in the state semi- finals and came out victorious. They went on to the state finals against an extremely talented Cathedral team also out of the strong eastern section of the state. Final score - Bartlett 85, Cathedral 73!! They became the FIRST and only State champion basketball team at Bartlett High School!! Coach Paranto joins his son Tony as a member of the BHS Athletic Hall of Fame. 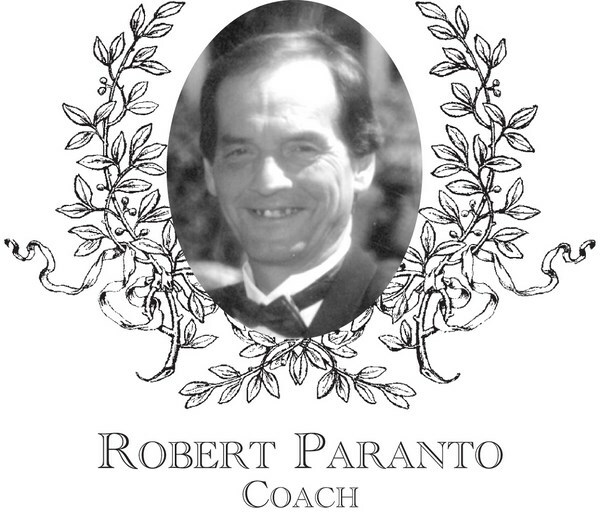 Coach Robert Paranto is survived by his former wife Sally (Kunkel) Paranto, daughter Monique Canty, son Tony Paranto and his wife Melissa, and his two grandchildren Lindsey Canty and Logan Paranto.